Yelloh! Village le Sérignan Plage is a holiday camping site that offers the best of both worlds. Embracing the cerulean blue waters of the Mediterranean while also boasting countless on-site attractions, it is best to learn more with the help of Lux-Camp. Yelloh! 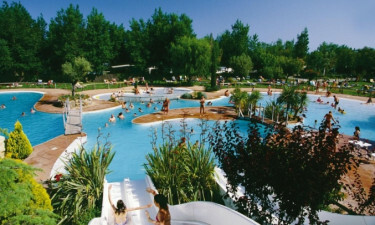 Village le Sérignan Plage is able to provide the entire family with a camping holiday that will not soon be forgotten. Why Should I Choose Yelloh! Village le Sérignan Plage as a Luxury Camping Site? The possibility to choose a mobile home during one's stay. 648 pitches to choose from. Excursions to a beach only 2 kilometres away. This luxury camping site also gives all of its visitors the chance to enjoy modern technology. Wireless Internet is available and facilities to wash clothes (as well as to dry them) are found here. A baby changing room is convenient for parents and these facilities are equipped to be able to handle those with special needs. Yelloh! 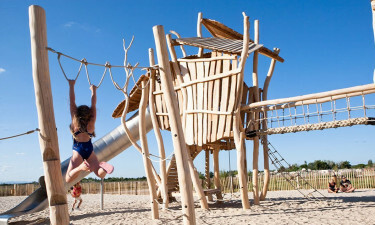 Village le Sérignan Plage has devoted a great deal of time and effort to address children during their visit. In fact, infants under 4 years of age are welcome. Parents can swim with their toddlers in a covered on-site swimming pool while games at the beach are another option. There is even a playroom that is air conditioned and activities including pottery, music and circuses. Luxury camping is always more exciting when different sports can be enjoyed. This holiday camping site provides a number of unique options to select. These include (but may not be limited to) bike hire, table tennis and tennis. There are additional possibilities within a short distance from this site. Surfing and sailing courses are found at the beach and a full-sized golf course is located 20 kilometres from the park. Another reason guests enjoy Yelloh! Village le Sérignan Plage arises from the fact that an on-site restaurant can be visited when desired. Chefs Serge and Fred welcome guests to the Lou Pas d'Oc Restaurant which serves up local delicacies as well as international menus. 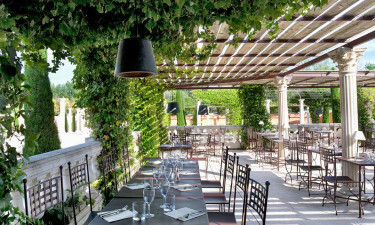 Another open-air bar is known as "The Troubadours' Courtyard"; a sumptuous cocktail can be enjoyed during the balmy spring and summer nights. Camping luxury is now a reality thanks to the shopping facilities to be found here. A bakery will provide fresh bread daily while a small mini-market is stocked with fresh fruits, vegetables, provisions and other essential camping supplies. Also, international newspapers are available for those who want to keep in contact with the outside world.